2. Facilitator debriefs assessment results while participants follow along in the participant guide. better matches of people to positions and work groups. 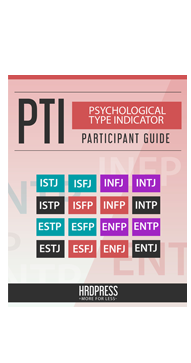 Are You Certified on Myers-Briggs types? Are you looking for a easier to use 16-type indicator? a deeper understanding their decision making, communication styles, reactions to stress and a host of other competencies. Are your Managers prepared for the 21st century? 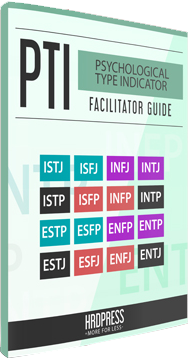 Each participant receives a 8-page booklet that accurately summarizes the implications of their type including how your work, your probable strengths and weaknesses, your likely team role, areas that may hold opportunities for personal growth and how to work with differing types more effectively. 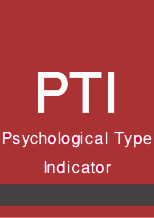 The PTI assessment can enable professionals of all types to peel away a few more layers on the complex factors that cause blind spots and the behavioral tendencies that give each person their somewhat unique approach to the myriad of workplace challenges.